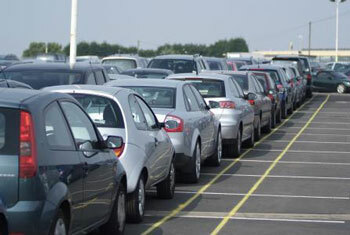 HolidayExtras.com can save you up to 60 per cent on the gate prices when you pre-book off-airport parking. Birmingham airport parking can be very competitively priced, so get a quote today and see how much you can save. What is Birmingham off-airport parking? Birmingham off-airport parking means you park a little further away from the airport grounds and take a short transfer to and from the car park. 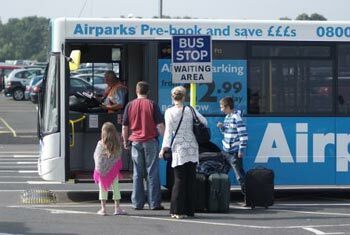 Unlike on-airport car parks where you're able to walk or take a shorter transfer, off-airport parking can cost you a whole lot less, just for a few extra minutes on a transfer bus. All Birmingham airport parking sites we sell have been awarded the Park Mark award. This means that each one is fully secured and has been vetted by police to make sure that it has measures in place to create a safe environment. Why pre-book off-airport parking at Birmingham? Parking near Birmingham airport is already one means to save. But there's another top tip when it comes to saving money on any of our airport parking or airport hotel products. That tip is to always book as far in advance as possible. This is because the pricing of airport parking becomes more expensive when there's less availability. In short, the longer you leave it, the more it will cost. What Birmingham off-airport parking is available? Airparks Birmingham has proved to be a popular choice with past customers, with high levels of security and convenience available at a great price. Four-and-a-half miles from the airport, it's just a 15-minute transfer ride to the terminals. Transfers are included in the price and run 24 hours a day.